As we all know, Nepal was struck by a devastating earthquake on 25 April 2015. There is an urgent need of funds for relief and recovery efforts in Nepal. To raise funds in aid of those affected by the calamity, artists all over Goa from all genres will get together this weekend and perform for a noble cause at the event ‘Play for a Cause ‘. 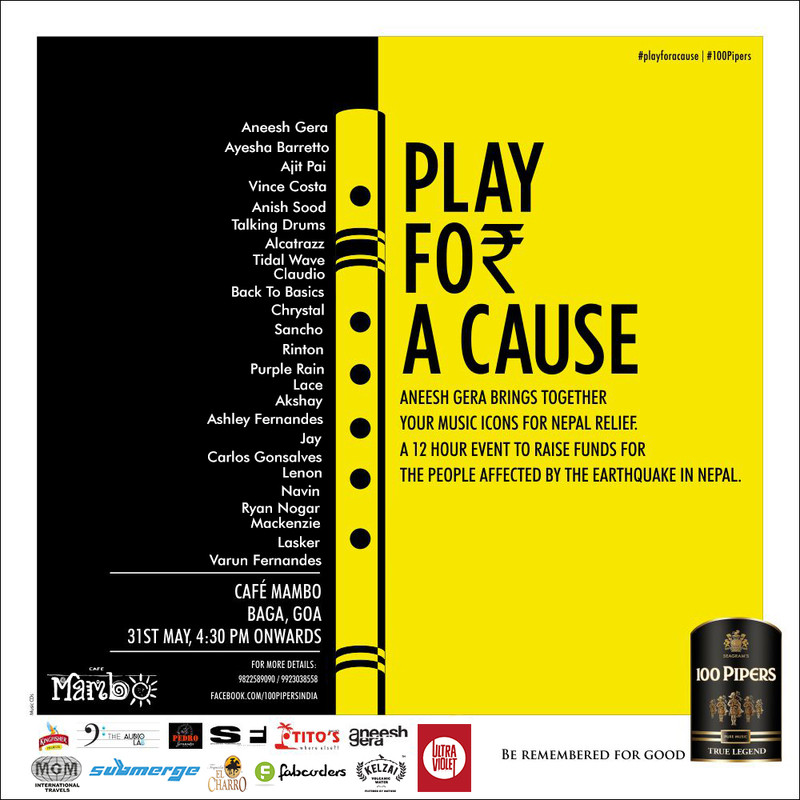 Play for a Cause is an initiative taken up by Aneesh Gera to raise funds for all those affected in the Nepal Earthquake. The 12 hour Music Event on 31st May will witness India’s Highly Talented Music Artists Performing at Cafe Mambo, Goa: A Titos Goa Property. Aneesh Gera Goa’s very own DJ who went from humble beginnings in local clubs in the heart of Goa to performances with the biggest international names in the dance music scene in genres ranging from Deep house and Chillout. All performers will donate their fee paid by sponsors towards the Nepal Relief Fund, along with entry ticket sales & a share of the bar sales at the venue. The roster has something in store for music fans across all genres from rock to jazz to EDM. Make your presence felt in large numbers to support the noble cause this Sunday, May 31st.